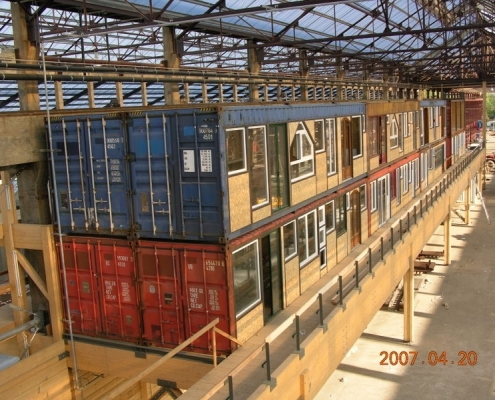 During the past few years, the company SIRC has specialised in the conversion of sea containers. Because these containers are made of steel they have a life-span of at least 60 years. They hardly rust, because CORTEN©-type steel is used, with self-patination by means of deliberate surface corrosion, frequently used in architecture and construction as well as for outdoor sculptures in the field of art, due to its appearance and its weather-resistance.. The use of sea containers is becoming increasingly popular and is thus arousing great interest among architects, because they are a modern, re-usable and cost-effective product, that can withstand great mechanical loads and can be adapted and changed in a wide variety of different ways. 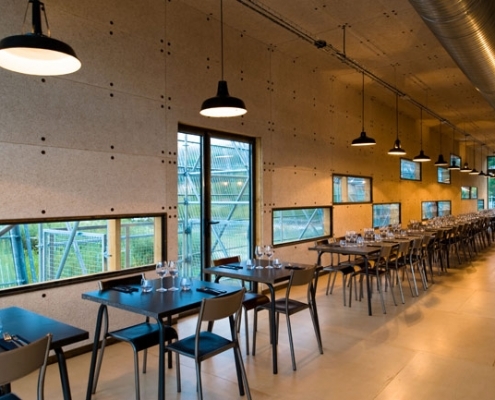 They are substantially more durable than all classic modular constructions, and are also storm and earthquake proof. 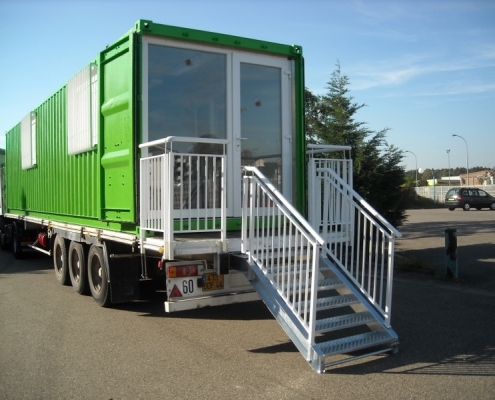 By joining containers, which require no foundation, we can arrange sizes from 12 to 1,000 m². Their location can be changed without any particular problems.